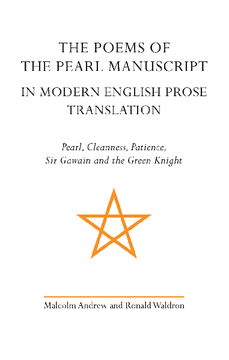 For students of Middle English, Andrew and Waldron’s The Poems of the Pearl Manuscript has been the key edition of the four Pearl poems for over thirty years. With the changing needs of today's students in mind, the editors produced a complete prose translation of the four poems - the best known of which is Sir Gawain and the Green Knight. The near-literal translations are intended to facilitate understanding of the four poems - to lead readers to, rather than away from, the original texts. The translations are based faithfully on Andrew and Waldron’s fifth edition of The Poems of the Pearl Manuscript. This paperback edition is new to the Exeter Medieval Texts and Studies series.